What You'll Need: scriptures, Gospel Art Book 39 or GAK 212, pencil (or crayons for younger children) and small piece of paper, printed crossword, coloring page, and coloring tools. Scripture: Joshua 24:15 - "...Choose you this day whom ye will serve...but as for me and my house, we will serve the LORD." 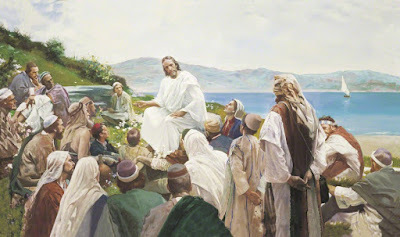 When Jesus Christ was still alive on the earth he taught people. He taught them whenever he could. He gave lessons called Sermons and taught with stories called Parables. We have a record of His teachings in the scriptures because his words were so important that Heavenly Father wanted all of His children to hear them. When Jesus was on the earth he gathered his people together to teach them. Sitting on a mountainside, Jesus gave what is known as the Sermon on the Mount. Included in this sermon were the Beatitudes, special blessings that Jesus promised for righteous living. These lessons were so important that, after his death, Jesus appeared to the Nephites and taught them the same lesson. Blessed are the poor in spirit = you are teachable. Blessed are they that mourn = feel sad. Blessed are they which do hunger and thirst after righteousness = we should want to be good as much as we want food and water. Blessed are the merciful = to be willing to forgive. Blessed are the pure in heart = turn away from naughtiness in thought and action. Blessed are they which are persecuted for righteousness’ sake = even if others make fun of you for your beliefs, if you stand up for what you believe in, you will be blessed. Bear your testimony about following Christ's teachings. 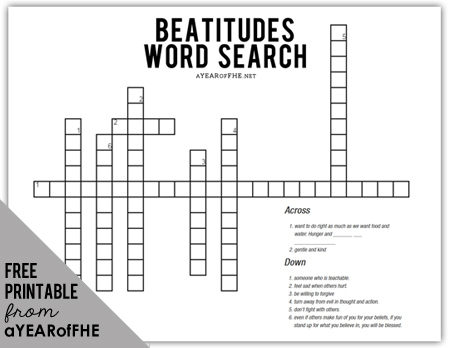 Explain to children that if each of them works on their chosen Beatitude your home will be more peaceful and full of the love of Christ. I LOVE this lesson & I'm excited to use it tonight! Thank You for posting all of these great ideas. 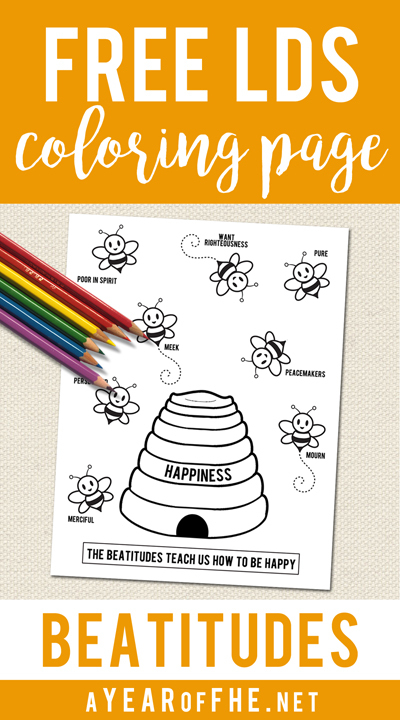 I had felt impressed to teach my children the beatitudes (after discussing them during Sunday school recently) and was so pleased to discover this lesson! I have used some of your lessons in the past and have appreciated them all. Thank you so much! This is an Awesome Web Site Thanks it helps me Tremendously! Thank you for this lesson! I'm using it right away!